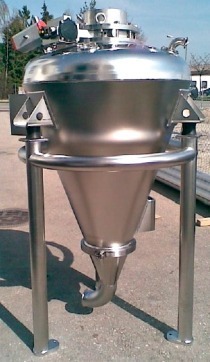 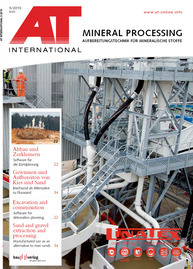 Pneumatic dense phase conveying systems for powders and granulates with pressure vessels are favoured against lean phase conveying systems with rotary valves when there is danger of high wear of pipelines and of the installed components, in case of conveying abrasive products, such as sand, alumina or coke. 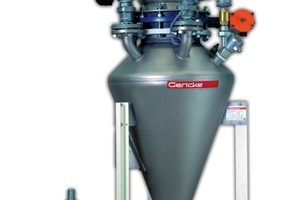 The Gericke dense phase conveying systems (Fig.) 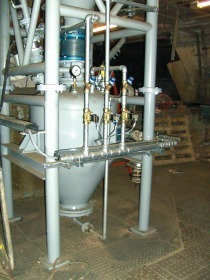 can be operated with air starting velocities from 2 m/s depending on the product and on the application, in comparison to lean phase conveying systems with starting velocities from 20 m/s. 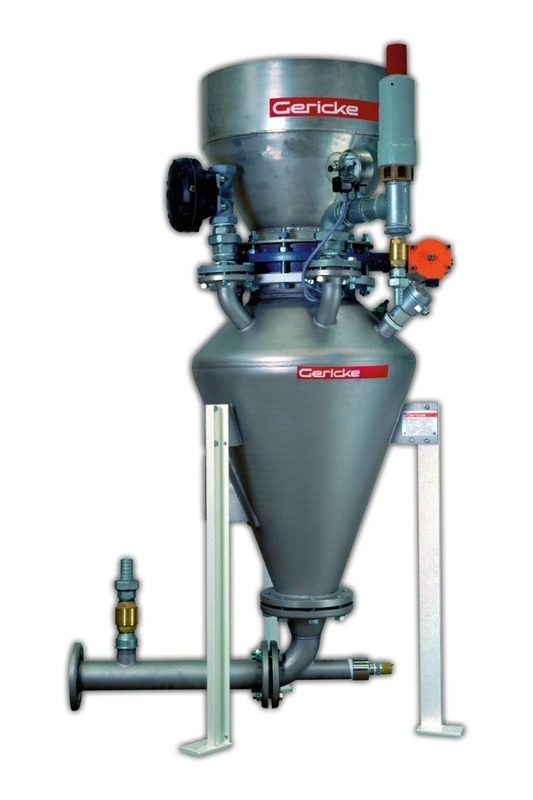 The solids loading (= amount of kg of product that can be transported with 1 kg of conveying medium) in dense phase conveying systems can reach up to 150, whereas in lean phase conveying systems the solids loading usually lies in the range of 5–10. 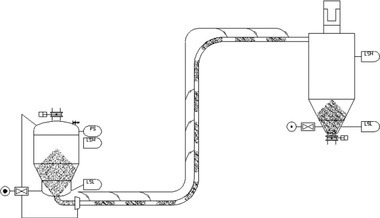 Depending on the application Gericke chooses from several operation modes (plug conveying type PTA, plug conveying with external bypass air type PTA PL, dune or layer conveying) the best suited conveying system.